The National Youth Music Theatre will later this year will be celebrating its 40th anniversary with a West End gala at the Adelphi. That’s on October 30, and promises to attract former alumni including Lily James, Matt Lucas, Ben Barnes, Jasper Britton, Gina Beck, Gavin Spokes, Simon Thomas and Michael Jibson. I absolutely adore the work of this company – not just as vibrant encouragers of the emergence of young talent, to which we can add Sheridan Smith and current Harry Potter star Jamie Parker but also as commissioners of new musicals. It was partly as a result of my championing Brass on the judging panel for the UK Theatre Awards last year that it won the best musical award, and last weekend it was brought to Hackney Empire for its London premiere, so I was able to see it again. The previous weekend I went to Leicester’s Curve, where Nikolai Foster was directing a thrilling new NYMT production of Spring Awakening, choreographed by Lee Proud. Duncan Sheik and Steven Sater’s amazing 2006 Broadway musical is custom-made for young companies – and here dazzled anew in a thrillingly conceived production that gave it an entirely contemporary sheen. This show about burgeoning sexual interests and repression is forever relevant and resonant – and Sheik’s blazing rock score is one of the greatest ever written for the theatre, in my humble opinion. It’s the best rock-influenced score since Hair, which is being revived at Manchester’s Hope Mill Theatre in December, or Jesus Christ Superstar, currently at Regent’s Park Open Air Theatre. This week I am also actively supporting youth theatre when I host two charity concert performances being staged at St Paul’s Church in Covent Garden. 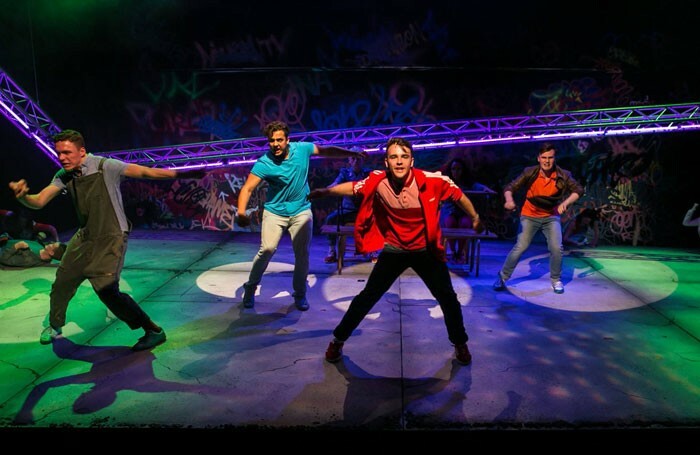 The production of Godspell, in aid of the British Theatre Academy, offers young people who can’t afford to access theatre training opportunities to work with leading creatives, including the guest stars for these concerts: Kerry Ellis, Ramin Karimloo and BTA alumnus Preeya Kalidas. I am often forced to play theatrical catch-up on shows I’ve missed the openings of, but sometimes waiting has other benefits. The Menier’s import of Fiasco Theatre’s Into the Woods, for instance, has just seen three of its original American cast replaced with Brits, so finally seeing it last week meant I was able to see the wonderful Laura Tebbutt (an alumni of the Royal Academy of Music) take over in the pivotal role of the Baker’s Wife, Harry Hepple (so wonderful in the title role of the Menier’s Pippin) joining as the baker and Steffan Lloyd-Evans doing dashing double duty as the Wolf and Cinderella’s Prince. All three blend effortlessly into the brilliant Fiasco ensemble – no mean feat, given that the production was built around its original members. But also for once in a production that has the actors playing their own instruments, they do so only when they are not acting directly in the scene. This means not just that the playing is significantly better, but also a whole lot less distracting. I hesitate to make a blanket rule on this, but this is a template for the way actor-muso productions should be staged. The Menier has already become London’s go-to destination for Sondheim, having done revelatory versions of Sunday in the Park with George and A Little Night Music (both of which transferred to the West End and Broadway), Merrily We Roll Along (West End only), Assassins and the British premiere of Road Show. Now America is repaying the debt by sending us this Off-Broadway production of a show I thought I knew inside out – yet finding new textures of yearning that had me in tears for the final 20 minutes. 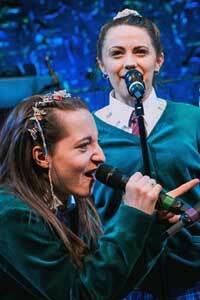 As this year’s Edinburgh Festival Fringe draws to a close (it ends officially today, August 29), I finally caught up with one of last year’s biggest hits, Our Ladies of Perpetual Succour, in the transfer of Vicky Featherstone’s National Theatre of Scotland production to the National’s Dorfman. Lee Hall’s coming of age play about Scottish convent girls on the loose in Edinburgh is a bit ramshackle, but it is performed with vibrant joy. Now I’m getting ready to catch the highlights of this year’s Edinburgh Fringe as they start migrating to London. The transfer runs begin this week, with Christopher Haydon’s production of Diary of a Madman starting at the Gate from September 5. I also can’t wait to see Penny Arcade’s Longing Lasts Longer when it returns to Soho Theatre from September 19, not least because it will last longer – in Edinburgh, it was truncated to fit the regulation one-hour time slot. The Green Room: What part of staging a production do you enjoy most?